This masterclass will walk you through the 3 main mistakes we make when trying to feed out littles. It’s packed full of step by step actionable advice you can start implementing at home today along with how to get your child to be an adventurous eater without any bribing, negotiating, yelling or losing your mind in the process. * This Masterclass was created in collaboration with Allana Robinson, Parenting Effectiveness Coach and Child Behaviour Strategist. 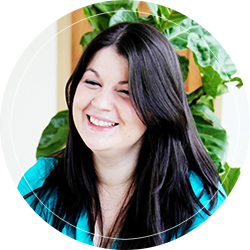 You get the brains of a behaviourist and a holistic nutritionist wrapped up with a pretty bow. Worry and anxiety can run high. But when you have that structure in place, magic starts to happen. The important motivator we usually ignore when we feed children. What we’re doing that is actually making our children stop eating. How your child experiences food so that you can feed your child with more empathy and know what’s normal picky eating, and what’s cause for concern. How to use a research-backed method for structuring your mealtimes so there’s no more should I/ shouldn’t I debate going on in your head about dinnertime boundaries. A researched system to use at home when adding new foods to your child’s safe list without bribing, begging, or forcing them to eat.